Like many of the categories we cover here at Solutions Review, mobility management is a field that goes through changes often. From mobile device management (MDM) to enterprise mobility management (EMM), and now unified endpoint management (UEM), the technology has consistently adapted to the needs of the enterprise. While more traditional EMM solutions are offered on their own, it’s common that the leading solutions offer multiple and bundled components of mobility. These elements of mobility include MDM, mobile application management (MAM), UEM, mobile content/email management (MCM/MEM), mobile collaboration, and policy and configuration management. 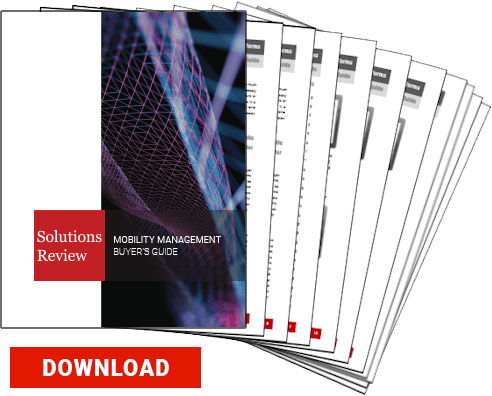 To help you with the overwhelming task of selecting the right product, these are the top-18 best mobility management solutions for 2018. Amtel MDM from Netplus allows you to safely deploy mobile devices in the enterprise using a unified console for greater operating efficiency. With this solution, users can secure devices and protect access to enterprise data from corporate or BYOD devices. Deployed easily from a secure private cloud with SSAE 16 Type II compliance, Amtel by Netplus’ mobile security solution is ideal for smartphone and tablet deployments in the enterprise. BlackBerry’s multi-platform EMM solution, BES12, provides comprehensive device, application, and content management with integrated security and connectivity for BlackBerry, iOS, and Android. Users have the ability to deploy, manage and control both corporate and BYOD device users through a simple unified console. BES12 is also regarded as one of the most secure solutions out there and is BlackBerry’s main focus at the moment as they move away from producing devices. CA Technologies offers a scalable, mobile device management solution designed to help you control and secure mobile and desktop devices as well as deploy applications. Designed to be a sustainable approach to unlocking the value of mobility, CA MDM can give IT complete deployment flexibility and provide users with productivity-enhancing Bring Your Own Device (BYOD) freedom. The solution also offers app management and security features. Centrify software and cloud services let organizations securely leverage their existing infrastructure to centrally manage a wide range of identity-related IT activities such as authentication, access control, privilege management, policy enforcement and compliance across both cloud and data center based resources. Centrify is a complete EMM offering integrated with Identity Management. Its MDM offering allows you to automatically push email, WiFi, and VPN settings, and ensure device compliance. Citrix XenMobile is a comprehensive solution to manage mobile devices, apps, and data. Users have single-click access to all of their mobile, SaaS, and Windows apps from a unified corporate app store, including integrated email, browser, data sharing and support apps. IT gains control over mobile devices with full configuration, security, provisioning, and support capabilities. Deployment options give IT the choice to manage XenMobile in the cloud or on-premise. Of FileWave’s many unique features, the most notable is the support for all major operating systems – macOS, Windows, iOS, Chrome OS and Android – all within one console. This is a major plus for any organization that needs, or will need, the ability to manage a diverse and growing population of users, devices, content, applications, accounts, etc. Additionally, all products and features are all-inclusive, ensuring IT teams have all the tools needed with no add-ons. Hexnode provides an affordable mobility solution that is able to support a number of mobile devices all from one screen with an intuitive user interface. The software is capable of handling whole enterprise mobility management. This assists users with the ability to centrally manage all devices, disable and restrict features, and create policies with desired configurations and assign them to specific groups. Hypori’s Virtual Mobile Infrastructure (VMI) platform gives organizations the ability to keep data secure within the company and not exposed on the end user’s mobile device. The solution provides users access to a virtual mobile device in the cloud from IOS, Windows, and Android devices, while providing greater security and compliance for organizations. With Hypori’s VMI platform, an enterprise can keep all apps and data in the enterprise, leaving no data at risk on the end user’s mobile device. IBM Maas360 EMM combines device, app, and content management with strong security to simplify how you go mobile. 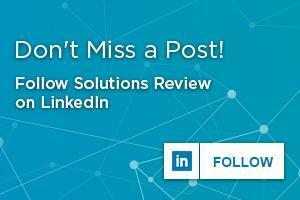 You can monitor for threats and automate compliance to maximize security without compromising the user experience. It delivers the ability to diagnose and resolve device, user, or application issues in real-time from a web-based portal; offering complete IT visibility and control, and ensuring optimum mobile user productivity. Ivanti holds a unique spot in the world of mobility as it dedicates itself entirely to Apple devices. The company works with businesses of all sizes to easily configure, manage, and protect devices using central app deployment, remote passcode enforcement, and encryption. Ivanti offers two versions of its solutions: Ivanti Pro and Ivanti Now. While Ivanti Now is more geared towards smaller businesses, Ivanti Pro is directed towards larger organizations, automating device management while also driving productivity and creativity. ManageEngine’s Desktop Central is an integrated desktop and mobile device management software that assists in managing servers, laptops, desktops, smartphones, and tablets from a central location. The provider is especially fitting for small businesses because the most basic version of Desktop Central is free for businesses with 25 or fewer employees. Other editions include Patch Edition, Professional, and Enterprise, each fitting for different sized businesses with different industries and needs. Silverback by Matrix42 is a comprehensive, enterprise-ready mobile device and workspace management solution. It enables simple, secure and scalable management of devices running on Apple, Google, and Microsoft operating systems all through a single interface. Matrix42’s EMM solution enables you to give all your employees easy, secure access to their familiar workspaces on the mobile device of their choice, whether company or personally-owned. The Enterprise Mobility Suite is Microsoft’s comprehensive cloud solution for your consumerization of IT and BYOD challenges. Microsoft enterprise tools and technologies can help IT maintain security across all device types, regardless of whether the devices are corporate or personal assets. The tools can also establish security measures that protect an organizations’ systems, data, and networks. Microsoft Enterprise Mobility Suite is also built to support any sized business or enterprise. The MobileIron EMM Platform allows IT to secure and manage devices, apps, and content providing end users with instant access to corporate data on the mobile device of their choice. With this purpose built EMM platform, organizations can spend more time innovating and driving business and less time securing mobile devices. MobileIron Platform is an effective solution for any size company. They are one of the few vendors in the EMM market that has a real-time remote-view capacity for iOS. Sophos’ EMM solution, Sophos Mobile Control (SMC), ensures each document connected to the server remains secure, allowing users to remain productive by collaborating safely. Gated entry to each file assures security anywhere and everywhere users go. Organizations can also ensure compliance by maintaining control of what apps are being installed. An overview of all mobile devices in your company shows the device model, OS version, and many other properties of the device. SOTI MobiControl‘s advanced security features enable your business to maintain full control over who is using your mobile devices and how they are using them. The vendor unifies mobility management from a single management console, removing the complexity from maintaining a multi-OS, multi-vendor, and multi-purpose mobile ecosystem. SOTI provides the ability to manage mobile devices, applications, content, email, and security within an enhanced, secure, all-in-one offering. Symantec Mobility: Suite offers a unified solution that enforces consistent security standards without impeding the end user’s productivity or personal privacy. By providing flexible, comprehensive tools to secure data, deliver apps and content, and protect against threats, Mobility Suite gives users what they need to be productive without compromising security or the user experience. Instead of serving as gatekeepers, enterprise IT becomes a genuine enabler of mobile business. VMware AirWatch is an enterprise-grade mobility, productivity, identity, and collaboration solution which enables end users with a seamless digital workspace for all mobility needs. AirWatch empowers IT with a mobility platform that provides flexibility to manage multiple use cases, unified management of endpoints, end-to-end security from devices to data center, and integration across enterprise systems. Previous Previous post: Where is EMM Going Next?